When does building off-site make sense? How can a building be ‘manufactured’ off-site? Why build using off-site construction? Is off-site construction cheaper than using traditional methods? Off-site construction refers to the process of manufacturing elements of a building away from its intended final location. The pre-built units are later transported to the construction site, where final assembly takes place. There is a range of options for building properties either partially or fully off-site. Techniques include the use of cross-laminated timber panel (sometimes called crosslam or xlam) for the manufacture of load-bearing walls, roof panels and floors. The xlam sections can be made to include structural openings, such as doors and windows, with insulating material added to the external face after assembly. A similar off-site technique is the construction of high-performance building systems known as structural insulated panels (SIPs). These panels are created using insulating foam between engineered lumber boards called oriented strand boards (OSBs), or flakeboards. SIPs are extremely versatile and can be manufactured to fit most building design specifications. The practice is increasingly popular due to its associated reduction in construction lead times and contribution to sustainable development. This can be seen through its use of renewable resources, minimal waste production and low energy usage during the construction phase. The increased use of off-site methods across all sectors of the UK construction market is strongly endorsed due to the many associated benefits, including shortened lead times, reduced construction noise and minimised disruption to residents. This has resulted in membership organisations such as Buildoffsite actively promoting the development of off-site solutions wherever possible. Small sections of the building are constructed in a factory for use within the finished structure; for example, floor cassettes, roof cassettes and chimney stacks can all be pre-fabricated and anchored into place on site. Wall, floor and ceiling panels are made in a factory to be transported to, and assembled in, a building on-site. These can be pre-fitted with electrical and mechanical components such as water feed pipes or light switch fittings. Pre-engineered and assembled units which are transported to the site and fitted into either an existing building or as part of a construction project; for example, a bathroom pod. The unit is ready to use upon installation and comes complete with full plumbing, wiring and tiling. Systems that involve the pre-construction of units, or modules, off-site before assembly on-site to create the building itself. Modules can be pre-fitted with air-conditioning, plumbing and electrical systems, as well as windows and doors. For further information about off-site construction methods, see our frequently asked questions. 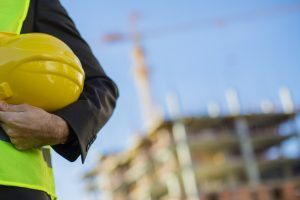 What are the reasons for off-site construction? 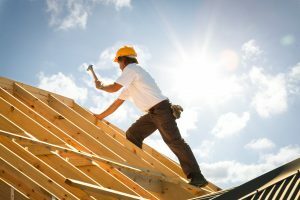 You’ll find further details about the advantages of using off-site techniques in the article ‘Why off-site construction is taking the headache out of renovations for residents’. At present, there is no industry standard for assessing the benefits of off-site techniques over traditional methods. However, in some cases the reduction in construction time can be as great as 50% when using off-site rather than traditional methods. Off-site construction is more expensive than traditional methods, and is therefore used solely to reduce disruption for current residents and speed up building work. On average building costs 20-30% more than traditional, on-site methods. Previous case studies have suggested net energy savings of around 30% can be made when building off-site compared with traditional on-site construction methods.